The polls have closed, the votes have been counted and it's time to announce the FIVE awards for the Best Picture of the Year on an Art Blog in 2012 in this final post in the 7th Making A Mark Art Blog Awards. I'd like to start by thanking some very important people. Next I'd very much like to thank all those who who took time out over the festive season to come and view the nominations and vote in this seventh Making A Mark Awards Poll. There were a lot more of you this year. I think highlighting it on Facebook helped. I certainly saw a few of the art bloggers highlighting the fact they had been nominated in a perfectly proper way - for which also many thanks. One of the things I experimented with this year was a reordering of the polls in the post during the course of the post - they all rotated daily - and the order of the pictures within the poll after the first day. I have to say having logged the votes periodically during the voting period that I do think position makes a difference and, while I think I improved the fairness, I will be trying to think of an even fairer way of listing works next year. the awards are listed in the order of the number of votes received. Finally I announce who won Best Picture of the Year. This overall prize goes to the person with the most actual votes overall - as determined by you! This poll received 254 votes. The Nature Poll to date has only ever had animals as nominations. This year three plant / botanical oriented pictures were nominated - all of which were very impressive. However the bird won! 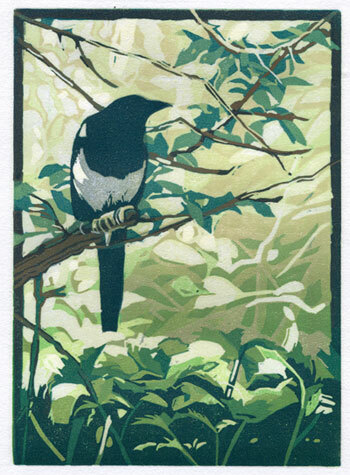 Sherrie York's linocut of a Magpie took a commanding early lead and maintained it throughout and won with 42% of the vote. That said, Sherrie does consistently produce some outstanding original, hand-pulled relief prints in woodcut and linocut - all of which relate to nature - and I commend her website http://www.sherrieyork.com/ to you. This poll received 282 votes. This poll traditionally has the most votes of all the polls - but this year after I rotated the order each day it came third. THE WINNER: Red Bow by Arto Isotalo (Arto's Art) - Espoo, Finland. Arto Isolato is a self-taught painter living in Espoo, Finland with his wife and two kids. 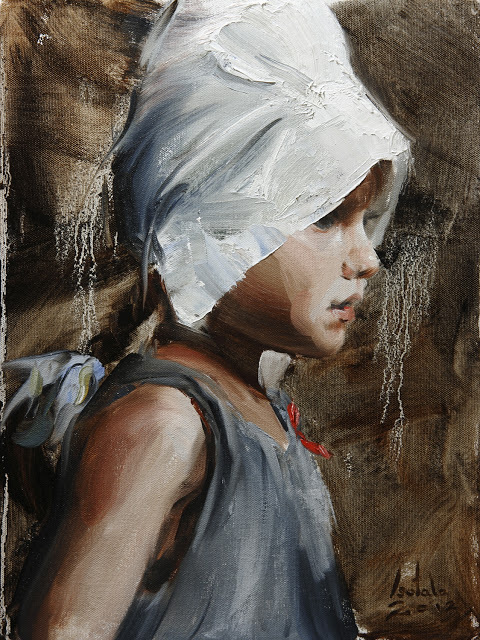 You can see more of Arto's paintings - and paintings of art in Finnish museums - on his blog. I don't have a website to refer you to. This poll received 287 votes. I was totally intrigued by this poll which changed direction a number of times during the course of the four days. I literally had no idea who was going to win. In the end, last year's joint winner of the Person Category, Sophie Ploeg won with her painting of Folded Lace and 32% of the vote. 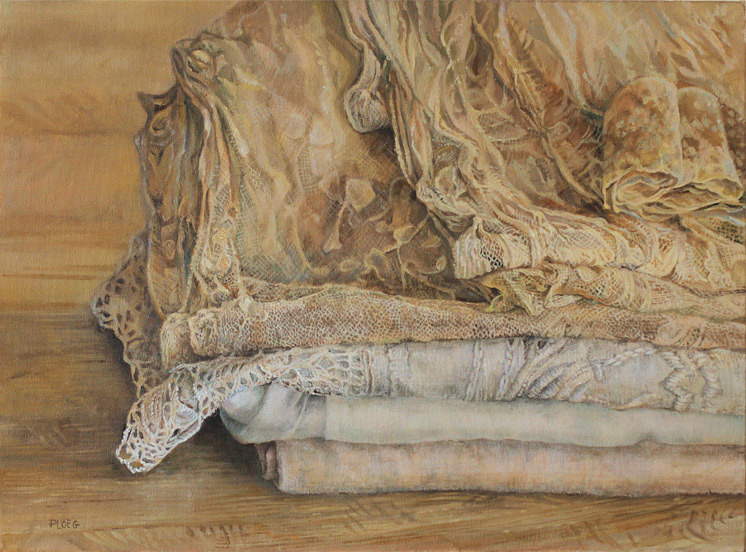 Anybody who knows Sophie's paintings will know that she is totally besotted with fabrics and lace and lavishes the most enormous attention into bringing out all the textures and subtle coloration. This poll received 314 votes - with the winner, Barbara Benedetti Newton's pastel painting of light and shadow in a landscape, getting 41% of the vote. 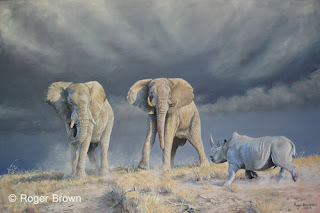 I have to confess the winner's painting was my absolute favourite of all those up for the award this year and I had my fingers crossed for this one! For me, it was one of those pastel paintings which did that thing every artist hopes for - it just stopped me in my tracks and I couldn't stop looking at it. If you right click the image and open it in a new tab you can admire it at a larger size. I was also particularly taken with the fact this pastel painting is not a size which Barbara normally paints at and was awarded two posts on her blog. The first was called know when to walk away and this is what she had to say. At the end of this annual art competition it's salutary advice to take with us into the New Year! This isn't the first time I've titled a blog post "know when to walk away." When I hear the lyrics of The Gambler begin to play in my head, I try to heed the advice and step away from the easel. I've been working slow and steady on this 25 x 25 inch painting with no major setbacks or wipe offs. I'm very happy with it but it is good to be finished and to be able to move on to the next one I have in mind that will be a very different palette. 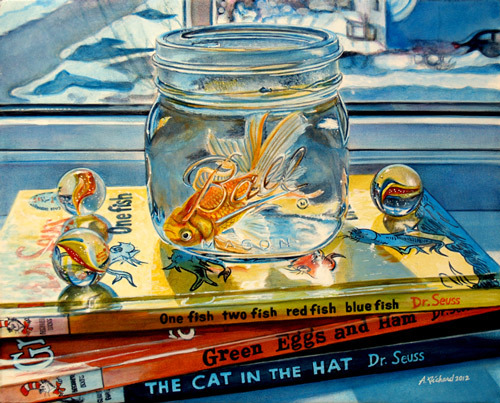 pastel on paper, 25" x 25"
You always decide who wins The MAM Award for Best Picture of the Year on an Art Blog. The award always goes to the picture which got the most votes overall across all four polls. This year the number of votes which split the two top paintings was tiny and for most of the poll there was literally less than 5 votes in it - until the winner began to pull away in 'the home straight'. Unlike previous years, this year I had absolutely no idea who was going to win! At the end there was only seven votes in it. Thank you again for voting. I hope you've enjoyed the Picture of the Year Competition and all the Making A Mark Awards. or leave a comment on the Making A Mark Awards page. All nominations have to comply with the rules. I'm now off to have a break and will return to this blog on 7th January. Posted by Making A Mark on Monday, December 31, 2012 16 comments Who's linking to this post? 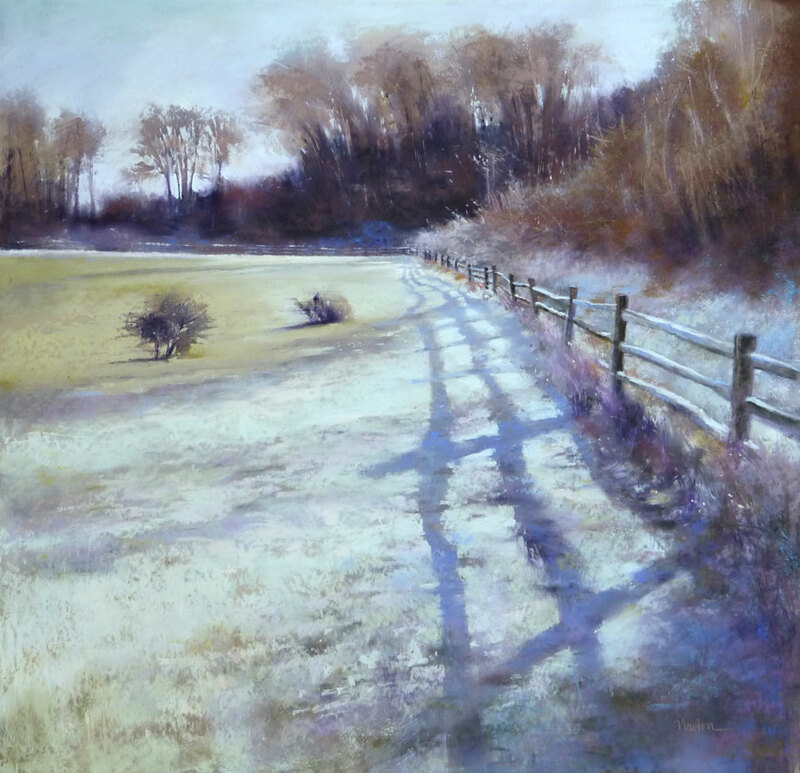 Categories art, art blogs, art competition, landscape, landscape painting, Making A Mark Awards, makingamark, nature drawing, paintings, pastels, portraiture, sketching, still life, who's made a mark this year? The penultimate category of the 7th Annual Making A Mark Awards concerns matters relating to the practical aspects of our artistic art and/or how to make life at home with the artist that bit better. Posted by Making A Mark on Sunday, December 30, 2012 12 comments Who's linking to this post? Categories animal art, art, art blogs, art equipment, art studio, feline art, Making A Mark Awards, makingamark, who's made a mark this year? On to the next part of the 2012 Making A Mark Art Blog Awards - this is the section related to Learning about Art and the Art Business. Posted by Making A Mark on Sunday, December 30, 2012 0 comments Who's linking to this post? Categories art, art blogs, art books, Art Business and Marketing, art education, art news, Making A Mark Awards, makingamark, who's made a mark this year? 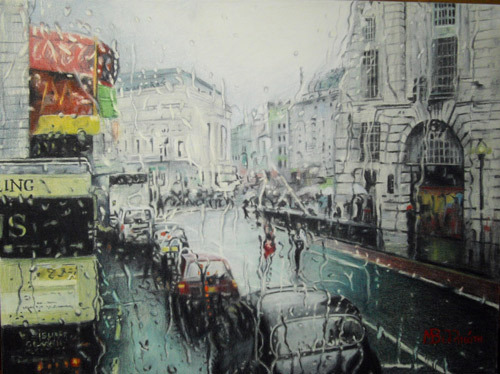 This second post in the Making A Mark Art Blog Awards is about the category of awards for all those people who draw and paint outside their studio - sometimes producing finished sketches or paintings plein air and sometimes producing material to develop further in the studio. Posted by Making A Mark on Sunday, December 30, 2012 9 comments Who's linking to this post? 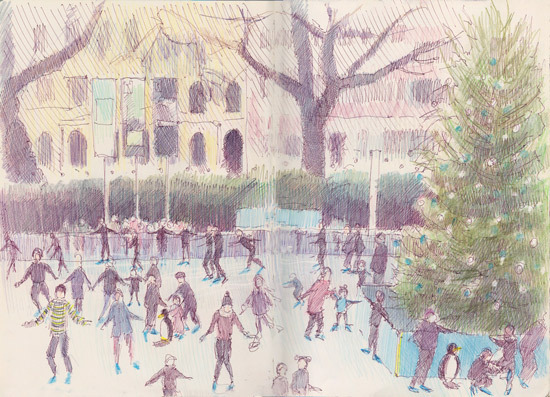 Categories art, art blogs, botanical art, drawing people, Making A Mark Awards, nature drawing, painting, plein air, sketching, travels with a sketchbook, who's made a mark this year? Posted by Making A Mark on Saturday, December 29, 2012 2 comments Who's linking to this post? Welcome to the seventh year of The Making A Mark Art Blog Awards 2012. After staring at a lot of art by a lot of artists on a lot of art blogs(! ), the artists and art blogs which have won MAM Art Blog Awards in 2012 will be announced in five posts spanning, today, tomorrow and Monday. Apologies in advance to those who don't like a lot of posts in one go - but this is a once a year thing! to share this with fellow artists and art bloggers. This year I'm reviewing how to continue with these awards in future years and I'd love to hear from you as to whether they have value to you and what changes you'd like to see. My current thinking is I'd like to cut back a bit - mainly because they always take a lot of time and effort! In 2012, the awards are organised in categories. The general principle is that anybody who has won a prize in the last three years cannot win again in that category until at least three years have elapsed. The Painting a Day Stickability Shield - for daily painters who maintain a consistently high output of consistently good quality paintings over the course of the year and set a good example to others. The Best Art Society Blog - for the blog which demonstrates - in both text and images - how best to promote the aims and activities of the art society AND widen the audience for the images of its member artists. The Make Me Think Gong - for the person who makes me (and others) think and offers insights that are transferable to the activity and business of being an artist. The Art Innovation of the Year Award - artist bloggers who experiment and/or create and/or share innovations which help the practice of other artists. “The Moose” - the award for the best animal in an illustrated blog is named after the first winner of this award. The animal can be wild or domestic, a perennial subject or the studio pet. The Making A Mark Art Blog Awards page on this blog also references every award and all past winners too. Posted by Making A Mark on Friday, December 28, 2012 2 comments Who's linking to this post? Categories art, art competition, artist, artists, Making A Mark Awards, makingamark, who's made a mark this year? On Christmas Eve I posted the results in the four posts published on Christmas Eve (listed at the end of each category below). There are FOUR polls below - please take your time and vote on each. Posted by Making A Mark on Wednesday, December 26, 2012 16 comments Who's linking to this post? Posted by Making A Mark on Tuesday, December 25, 2012 6 comments Who's linking to this post? The Making a Mark Prize for Best Picture of Nature in 2012 values the natural world and its plants and animals and celebrates excellence in portraying every aspect of nature. The Nature category found its feet in 2012 - with the most nominations to date. This year it's a strong category. I love all Jarnie's work. She has made so much progress in the last year and encourages all with her blog. 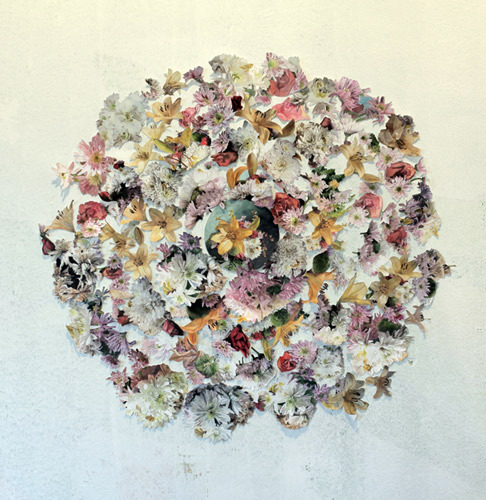 I particularly like this piece because she is tackling flowers of a difficult colour. Cream and white flowers are always tricky to do. The composition is unusual, but it works on the page and 'flows' with lots of movement. She has also captured the growth pattern of the species in the process. I love the tonal variation of the green leaves. It's a simple piece which to me works really well. It's striking, elegant and graceful. This artist consistently conveys both the beauty and mystery of nature. 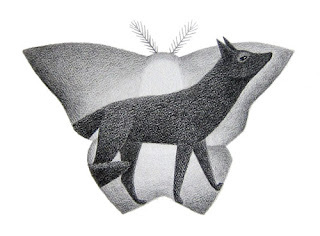 The black fox is studied in action, set in magic. The use of the moth motif is evocative of the fleeting glimpse we often get when we see foxes in the wild, floating silently at the edges. 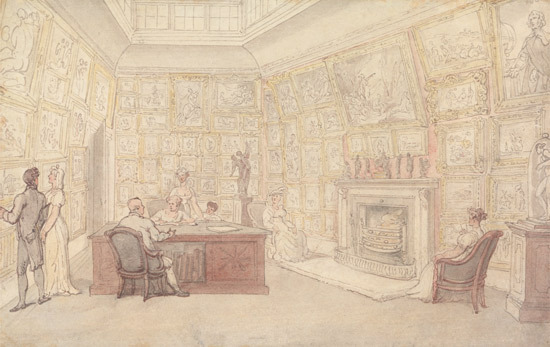 This drawing is typical of her work; it brings joy. I love this painting mostly because of the dramatic lighting and glow that the cat seems to have, but something that I really admire about John's work is his drawing style, which is both realistic and expressive. His brushstrokes are always economical and confident and his use of color and light is just gorgeous. He's my favorite modern day art blogger and every time he posts a painting I rush to see it. 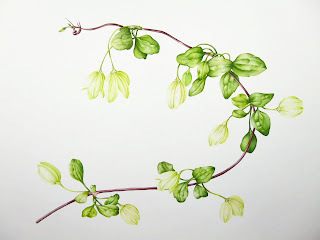 I really like all of Claire's botanical paintings, but her gouache paintings are incredible. They remind me of Sally Keir's work. 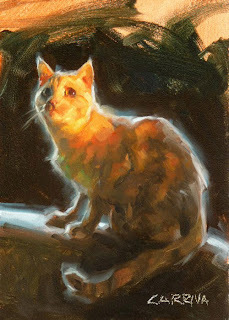 I think this painting is particularly elegant and striking, it glows with light. I like that she has experimented with iridescent paints and used them to create the shimmer on the petals. She then follows up with a blog post showing the work in progress. I felt very inspired by both her subject matter and her skill with gouache, but especially liked her generosity in sharing her techniques and knowledge. I was fortunate to see this beautiful painting at the SBA exhibition in April, and felt that it really stood out from the crowd. Not surprisingly, both this and her iris were sold! I would like to nominate a work of my own. I painted these flower during my residency period in Estonia. Posted by Making A Mark on Monday, December 24, 2012 3 comments Who's linking to this post? The 2012 Making a Mark Prize for Best Portrayal of a Still Life aims to highlight and celebrate excellence in creating pictures which help us to reflect on how the small and inanimate can be beautiful. The reason I am entering this specific piece is because I feel my work has improved since painting daily during the course of the past year. 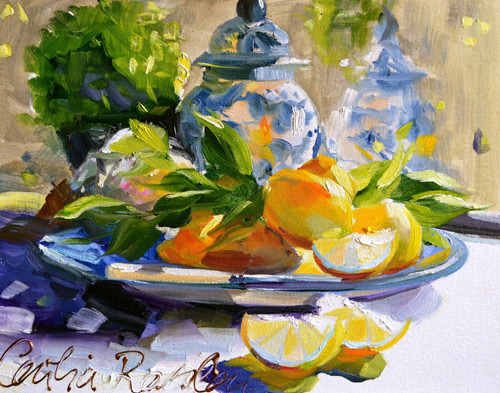 DELFT REFLECTIONS captures everything I try to encapsulate in my art work, good light, composition, 'effortless' application of paint and above all a warm feeling of enjoyment when one looks at a good still life. The work by Alvin Richard is always interesting,each work has a story behind it.It is clear that much thought and planning goes into each of his paintings.Aside from that ,each work is just mindbogglingly perfect.Since I have painted in Acrylics before I know that it takes real skill and practice to achieve what he has.There are many reasons why I like this particular painting of his,I love the warm and cool colors,the depiction of light and glass,as well as his subject matter and story. Nominated Artist: Charmaine P Jackson (Charmaine P Jackson) - Northern Tasmania. The reason I am entering this piece is that I feel it represents many of the qualities I strive for in my work - strong composition, clear focal point, good natural light, colour harmony, natural setting, linking shapes, as well as contrasting values, shapes, textures, edges, refined v less refined passages ...in this particular piece I am especially happy with the brushy, more impressionistic style of the flowers against the smooth, more realistic style of the copper. 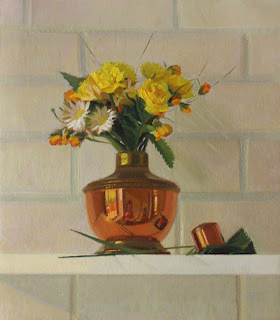 This still-life was a real joy to paint and I think, and hope, that comes through. When I first saw this painting I found it stunning. I had been trying over and over to paint sunflowers in oils and was having no luck. 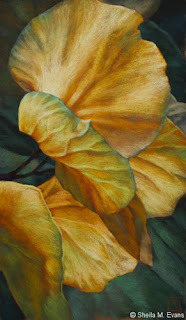 I had looked at other sunflower paintings on the web trying to figure out what I was missing and liked very few of them. 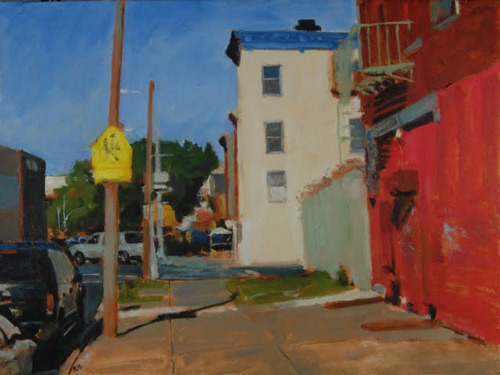 Then I saw this one, which I learned was painted plein air and really captures the light of a very sunny afternoon perfectly. 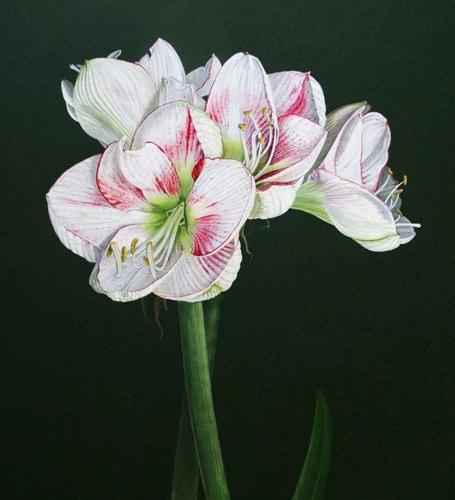 The composition is marvelous, and the light and fluidity of the glass and water have such freshness that is often only seen in watercolor paintings of flowers. The color of the flowers and leaves are just right and the shadows and flowers are so alive they seem to be dancing. Micaela is a self-taught, prolific (she's out plein air painting regardless of weather nearly every weekend), humble and generous artist. I would love to see her have recognition for her beautiful work. Posted by Making A Mark on Monday, December 24, 2012 0 comments Who's linking to this post? Categories art, art blogs, art competition, Making A Mark Awards, makingamark, painting, still life, who's made a mark this year? Listed below you will find the nominations for the Best Picture (Place) on an art blog in 2012. Post: "Finally Posting Again! WELLS CATHEDRAL"
I am nominating my own work and am therefore restricted in the use of 'praise.' However, ill health kept me out of art for many years, but now as I approach 75 I return to it once more (driven by my granddaughter). I started blogging this February and the support I received in Blogland has allowed me to develop to the point when I feel that this drawing takes me beyond the heights I reached in my younger days. 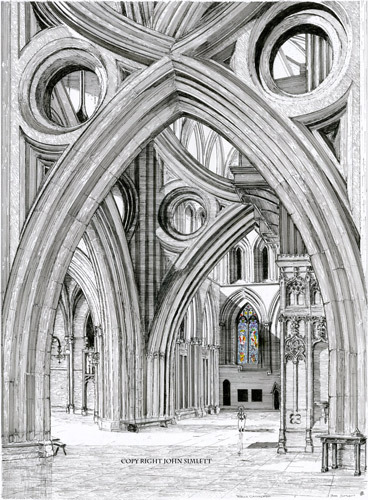 This drawing is a new departure for me - the limited use of colour really works, and the perspective exceeded my hopes. The values, although just black and white in the main, are such that they allow the viewer to 'enter' the picture and move about the cathedral. I love this watercolor for so many reasons. The painting is loose and suggestive rather than being overly realistic and predictable. 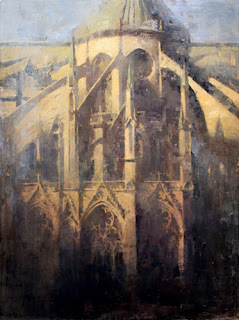 It is an interpretive depiction of the basilica, and the colors and technique convey a nostalgic dreamlike quality, as if thinking about the basilica after visiting it. 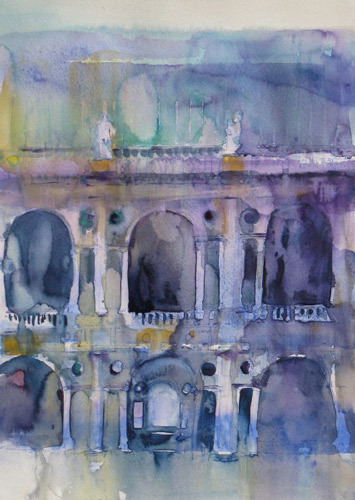 I like a painting to convey the medium it has been used in, and this one exhibits the many attributes of watercolor that make it such an expressive medium. The painting applies the techniques of the watercolor wash to the subject of architecture, which in my opinion is very unique and inventive. It also leaves some things to the imagination and therefore, makes one want to learn more about the basilica after seeing the painting. It was a challenge for me to paint such a picture with colored pencils. It's one of my favorite works. It gave me the opportunity to meet many new friends. Now belongs to one of them. There is something that haunts me about this image even small and on the computer screen, the atmosphere around the cathedral makes me think about the spiritual purpose of the architecture. This painting just draws me in, I want to visit Brooklyn just to take a walk down Classon on a sunny, cloudless day. Absorbing the urban colors, the rough sidewalk, and how you can still feel so alone in such a densely populated area. I am not sure if this was the goal of the artist when he created this painting, but this is how I react to it. Categories art, art blogs, Interiors, landscape, landscape painting, Making A Mark Awards, painting, plein air, who's made a mark this year?